Really I met her through its auspices. 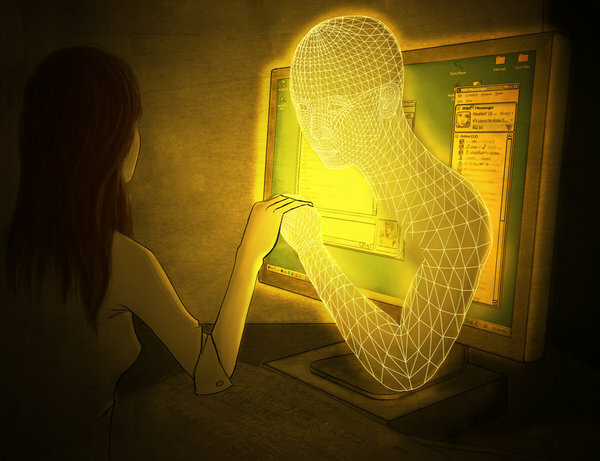 Can virtual love be the thing real? Now loving her has become a ritual. Me and my love here or anywhere.